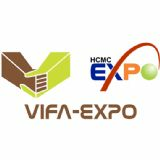 Vietnam International Furniture and Home Accessories Fair - VIFA-Expo, is one of the most well-known export furniture fairs in Vietnam and the South East Asia. The four-day event will showcase a wide selection of indoor and outdoor furniture as well as a vast range of handicraft and home accessories. Vietnam has become ASEAN's leading furniture exporter and the main focus of VIFA is to show the powerful woodworking industry of the nation. The exhibition will highlight the trademark of Vietnam's furniture production that is high quality and competitive prices as well as provide visitors with numerous opportunities to meet all sourcing needs. The variety of Vietnam traditional crafts with rich cultural characteristics and diversified designs on display at VIFA will inspire visitors to create new attractive products that will capture their customers' imagination in the future. VIFA is the ideal destination for both visitors and exhibitors to explore potential business opportunities and fresh inspiration in design.